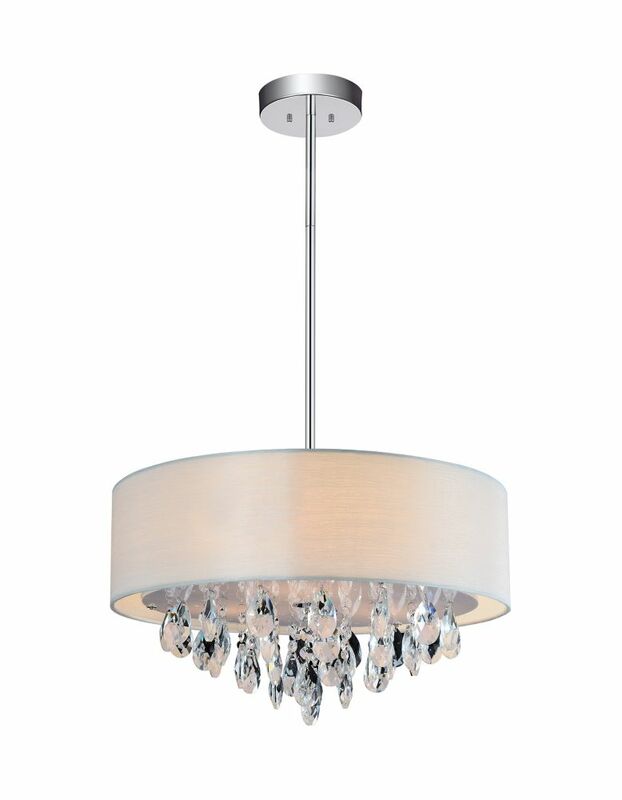 The WILLA chandelier features clean lines and a sophiscated chrome finish accented by acrylic arms. This beautiful chrome fixture will add a touch of glamour and simplicity to any setting. This contemporary piece is quick to put together and installation is a breeze. This is an excellent choice for small spaces, entry ways, foyers, stairways and bedrooms. Introducing the Rossi Collection. Geometric curtains of crystals beading cascading from an LED lit polished chrome frame. This chandelier will be a great addition to any room in the home or office. Only available from Eurofase.